At a time when financial institutions across Europe are at the center of an investigation by national financial regulators, the US Commodity Futures Trading Commission (CFTC) has commenced the new year by censuring the President of a Russian bank to the tune of $250,000 as a result of reporting irregularities relating to FX futures and options traded on the Chicago Mercantile Exchange (CME). In this particular case which has been reported today by the CFTC, Artem Obolensky, who is not a US citizen and resides in Moscow, has been ordered to pay a $250,000 civil monetary penalty for making false and misleading statements of material fact to CFTC staff in an interview during a CFTC Division of Enforcement investigation. The order enforces the false statements provision of the Commodity Exchange Act (CEA), which was added by the Dodd-Frank Act. According the CFTC, as well as holding the position of President of a Russian bank, is also a co-owner of a private investment fund located in Cyprus that, along with the bank itself, trades FX futures and options on the Chicago Mercantile Exchange. The CFTC has stated that Mr. Obolensky knowingly made false and misleading statements to CFTC staff on October 13, 2011, regarding a trade in March 2012 which involved Japanese Yen call options contracts between these entities. A distinct differentiating factor is apparent between this case, and the investigations into financial institutions which have recently been carried out in Europe. Whilst the fiscal penalties that have recently been administered to European banks for manipulating FX market parameters and failing to produce correct reports were considerably larger than that administered to Mr. Obolensky, the jurisdiction has remained within Europe and has not extended to overseas banks. In this particular case, the US authorities applied this penalty to an overseas citizen who is also not a resident of the United States, thus demonstrating that if US regulations are not adhered to by overseas firms when operating via a US exchange or providing FX products to US customers, that entity is still likely to become the subject of an enforcement regardless of citizenship and location. Indeed, the CFTC demonstrated its intent to protect North American clients against firms operating in its territory previously, as exemplified by the filing of legal proceedings against Cyprus-registered Banc de Binary in June last year for soliciting clients to trade OTC binary options in the United States, a practice which is illegal under US law. Whilst the outcome of that particular case has not been defined, it serves to strengthen the perspective that the United States is prepared to pursue firms outside its jurisdiction in order to maintain its reputation for customer protection. 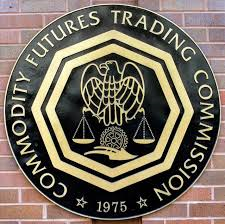 In addition to the $250,000 civil monetary penalty, the CFTC Order requires Mr. Obolenksy to cease and desist from violating the relevant provision of the Commodity Exchange Act.